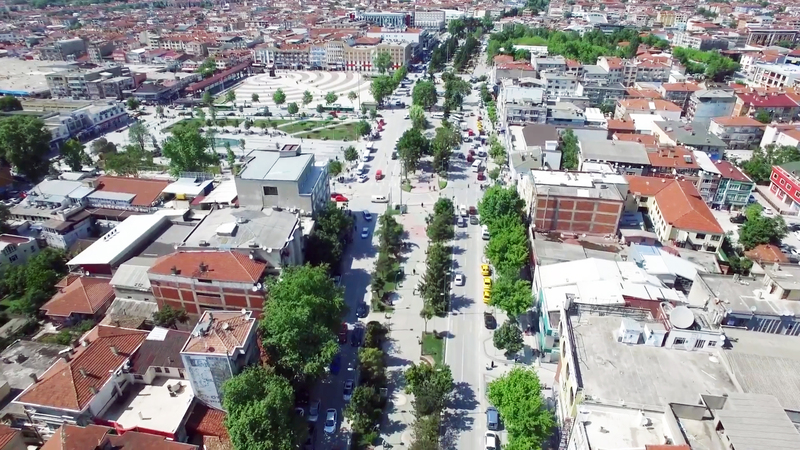 Sakarya, a city that is in the neighbourhood of Istanbul, The current railway station is at the heart of the city and the Municipality has plans on redeveloping the station’s vicinity while re-designing and re-purposing the existing station building and building a new one in another place. The analysis book was developed for Kivi Strategic Planning, the company that undertook the bidding process. 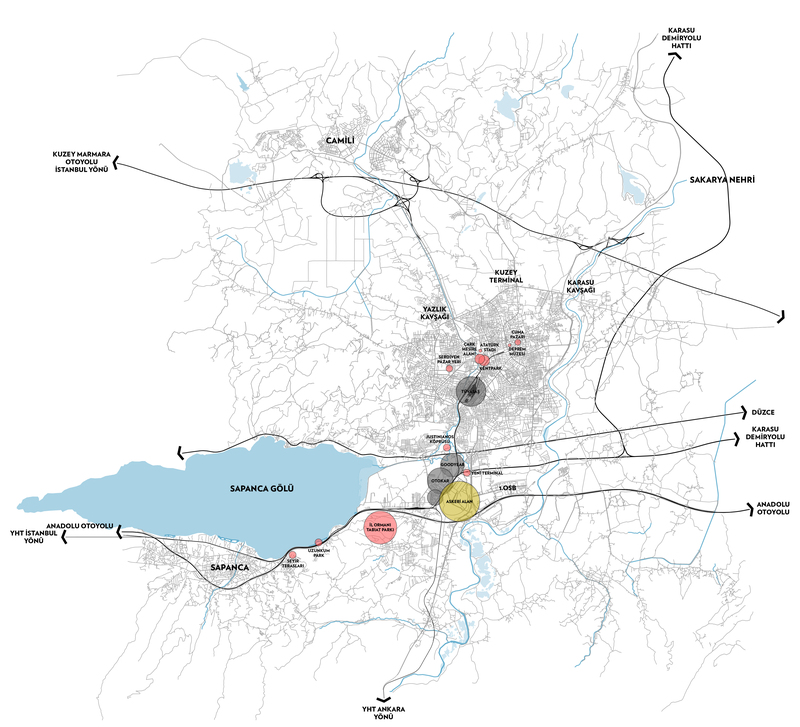 Eight architectural and urban design offices in Turkey were selected to develop proposals, and the preliminary analyses were developed for them. 1. Orange dots represent the cafes and restaurants, showing where the social activities accumulate. From Google Maps. 2. Purple dots represent the rental houses, radiuses growing larger with the unit prices. From sahibinden.com. 3. Pink lines represent the bus routes, and the darker the lines are mean more bus lines go through the route. From sakus.sakarya.bel.tr. Static images are in the book. 1. 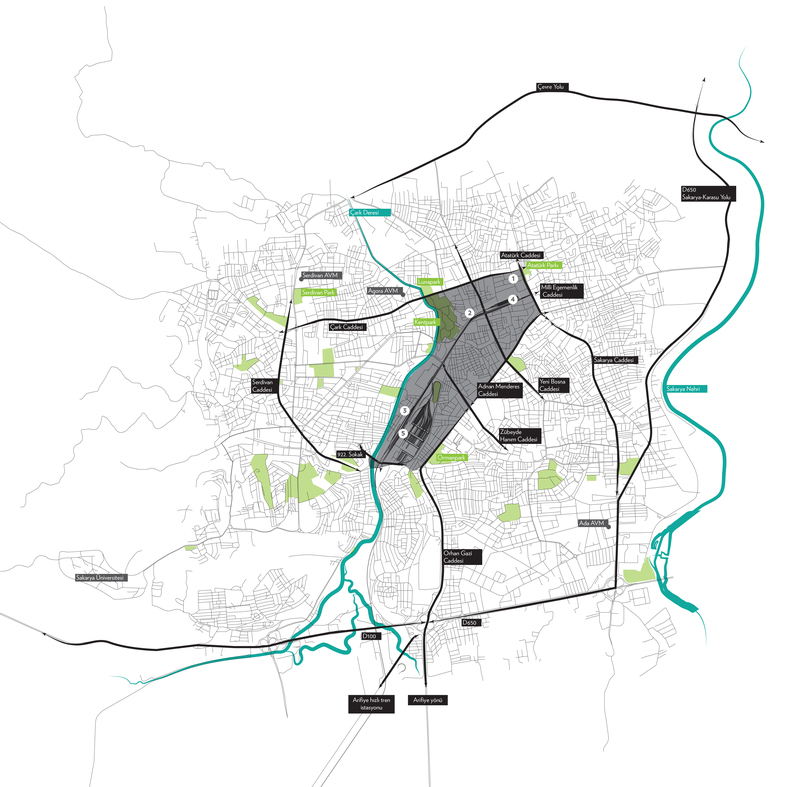 Important areas and streets in the project site. 2. The protection status of existing buildings. 3. The transportation network in the area. 4 and 5. The project’s implementation phases. Static images are in the book.